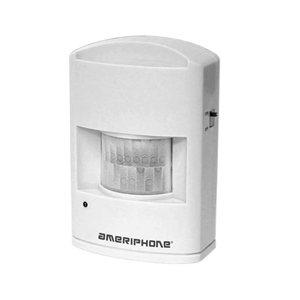 The Alertmaster Motion Sensor detects someone entering your house. Once triggered, it will send a wireless signal to a receiver to alert you. Operates on a 9-Volt Battery (included).